I used to live in the London suburbs with a wife, a dog, a cat – and a location independent business. Things happen. I lost things. Although the wife, dog and cat are all still with us – they’re not with me. So over a year ago I left the UK to live in Chiang Mai, Thailand, for a while. Since then I’ve visited Cambodia, Vietnam, the Philippines, Germany, Czech Republic and stayed a bit in the UK. And now, I’m here again. I’m not big on labels. I don’t like to be known as a “digital nomad”. However, people tell me I am. Also, people ask me (whilst looking at me weirdly): “How on earth do you work when you’re abroad so much?” Let me tell you, it’s easy peasy. If you can work in a cafÃ©, you can work on the road. Travelling forces you into minimalism. Imagine carrying every you have ever bought? I just carry the essentials. All I need weighs 10kg (22lbs). Life is good when it’s really simple. For this trip I’ve followed advice from my friend Zach Swinehart and got the Osprey Farpoint 55. This backpack will be allowed by some airlines as a carry on bag. It also has a zip off daypack which simplifies things – I can now have a small bag to carry my laptop during the day and a big bag for moving residence. And, as one zips on to the other, I only ever have to carry one bag. The only thing I don’t like about it is that it’s got too many straps but they can all be zipped away. 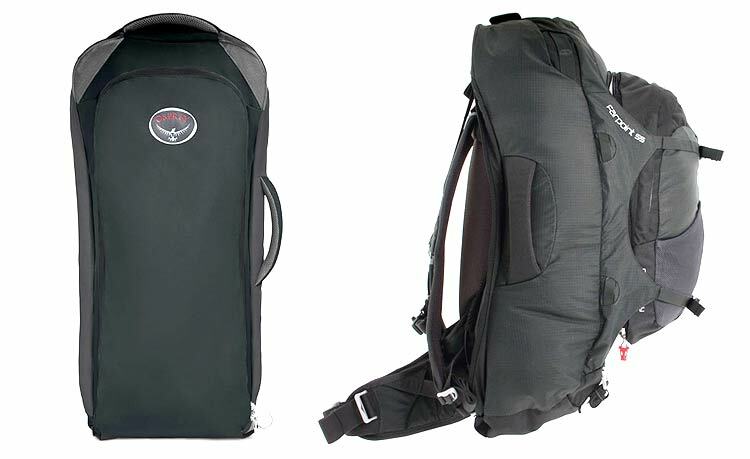 There are plenty of bags out there that nomads swear by like the Minaal and the Tortuga, for example. So that’s the bag, what goes in it? This is where I’m going to get super-nerdy on you. I have a MacBook Pro (Retina, 15-inch, Late 2013) maxed out to 16GB RAM and 1TB of flash storage. This is one seriously expensive, powerful beast. It’s taken a bit of a battering in the last few months and the disc space is 80% full. Despite this, it allows me to zip through high resolution video editing and Photoshop work. I’d be lost without it. That’s why I put the stickers on it. I figure a laptop that looks beat-up and unloved is less likely to be stolen. So what if it gets stolen or broken? 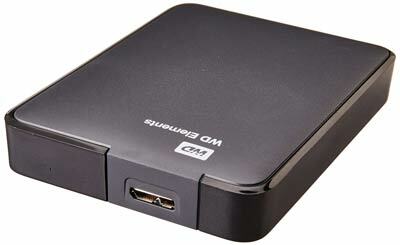 I have a WD Elements 2TB USB Passport portable hard drive. I have this partitioned into two drives. One backs up my work with Mac’s TimeMachine; and the other contains disc images of software I use regularly so, if something stops working, I can reinstall. So what if I lose the laptop and the external drive? I have everything backed up on Dropbox. This is essential for me not only for backing up my work but also for sharing large files with my VA and other freelancers. Google Drive is an alternative. Both charge around $10/month for 1TB of storage. I use my Samsung Galaxy S4 to find my way when I’m lost, to take photos and videos, to tell the time and, occasionally, I make phone calls. Actually, there’s a lot more I do on it (play games, communicate with people on various apps, etc., you get the picture). 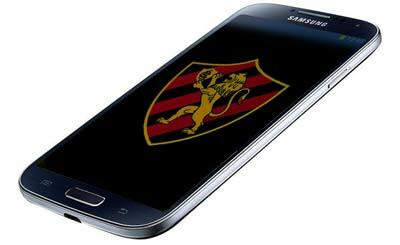 I will get a larger phone soon. (Android or iPhone? I can’t decide!) I want to read Kindles on the phone as well. So I reckon a phone with a bigger screen will enable me to ditch my tablet. Carrying around a tablet as well as a laptop and a phone seems dumb. Earphones are a “must” for any digital nomad. They are the mainstay of the daypack – along with laptop and phone (and in Thailand, mosquito repellent). Earphones are essential for Skype chats, Blabs and Hangouts. They are also useful for listening to music, Google Maps directions, podcasts and for blocking out the world to aid focus while you’re working. There are two types of microphone I take with me. The first is a lapel mic for doing to-camera videos. I’m told that the best one is the Audio Technica Omni Lav mic. I bought one of these before I left but I couldn’t get it to work so I’m using my cheap one. The second mic I use is for good quality audio when I’m doing screencasts for my video courses. I used to use a cheap Blue Snowflake but I wanted better quality so I invested in a Samson Meteor because of its portability over the Blue Yeti. However both these more expensive mics require pop filters. I have a pop filter with mount here in Chiang Mai which can fix to a table edge. I have been experimenting with putting socks over the mic with varying degrees of success. 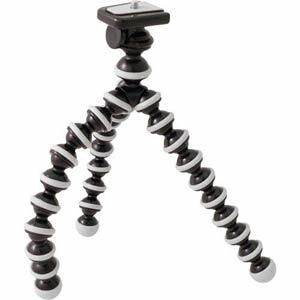 At under three bucks this is a seriously cheap bit of kit and, it’s incredibly useful: the Gripster Flexible Camera Tripod. You need to buy a mount for your phone to screw into this tripod but, once you have that, you can record high quality HD video of you talking to camera (you’ve just got to get the audio and lighting right). There are three reasons why you’d possess multiple SIM cards: you’re either a criminal, an adulterer or a digital nomad. The best way to use a phone while travelling is to have it unlocked and buy pay-as-you-go SIMs to give you cheap local calls and 3G access. The more you travel; the more SIM cards you pick up. So you’ll need something to carry them safety as these tiny things get lost easily. 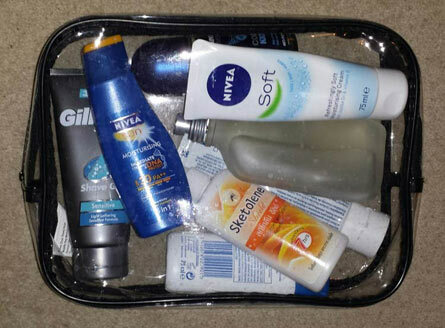 Here is my toiletry bag (this is getting a bit personal). Why is it transparent and why do none of the contents exceed 100mg? This will decrease the likelihood of security issues at airports if you take your main luggage as carry on. I got these past those nice people at Heathrow. (Although I have had issues with the Samson Meteor microphone as apparently the X-ray doesn’t go through it). Even though I’m getting more and more minimal and even though my luggage weighs less that 10kg, I still find myself with stuff at the bottom of the bag that I never use. However there are a few more things I have to take with me. There’s the passport, for instance, you wouldn’t get too far without that. I carry a credit card and a debit card as well as cash, you don’t get too far without money either. I have to take my glasses so I can watch the TV without squinting – I hardly ever watch TV but sometimes I like to watch football (that’s soccer by the way). I also carry pens and paper. 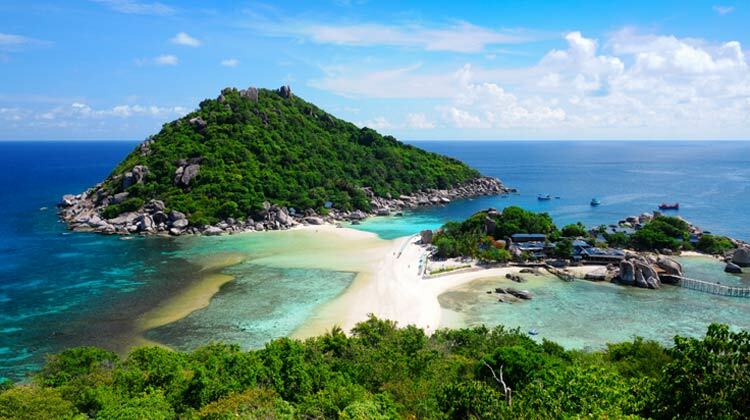 And, er, that’s about it for my digital nomad packing checklist for Thailand. Open-ended travelling while working is one of the best things I’ve ever done. Nothing beats the feeling of going off on a motorbike into the jungle knowing you can go anywhere you want, do anything you want, for as long as you want, and still get paid. Seriously, Apple made it easier for us to travel with technology (and still traveling light). Awesome post, Rob! Always love your tips. Happy Travels! Hey Snehal. Yes, iPhone 6s sounds interesting. I still haven’t made up my mind though. Thank you – happy travels and photography as well. All the essentials a techie would need pretty much everywhere! I also travel with a large folding travel bag. So many situations where it can be useful! This is cool to give us these hints. What a wonderful life! Packing all in 10 Kg is a feat. You did not mention clothes, shoes, these take a lot of space, how do you manage to cram these in your luggage? And is not better to have a hard wall luggage? It resist better on conveyor belt. This is great! I’m actually trying to do the same thing from my sailboat !! Luv it! I am not a technical person but I do travel once in a while. The information of how to pack in travel with technical is useful for me. Just have one question; when you are in cafe or other public places, do you use the internet connection they provide? The internet security issue is my concern. Yes, I usually do, Stella. But, if you’re worried you can get a VPN (Virtual Private Network) that’ll protect you to a certain extent. It’s useful for other things too. Thanks for information about VPN. You made a great choice with the backpack! Exact same one I have and has never let me down! Another thing I found useful were packing cubes which kept my clothes organised. 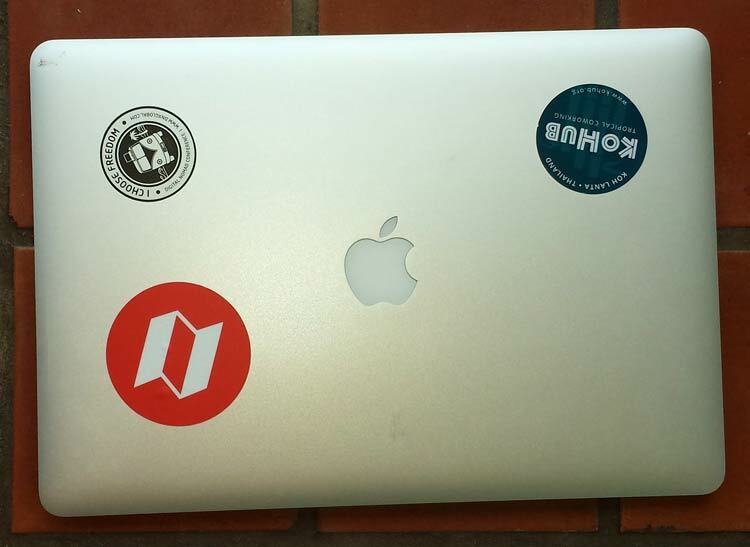 Loving the Kohub sticker! I couldn’t agree more with this article..! I stumbled into your blog by chance. I have left London in July and guess what…..I am in Chiang Mai as well and starting a new life trying out as a freelancer…..I normally work in co-working spaces as I like to have my own desk and leave my staff there. As for your next phone I would suggest a Samsung Note 5. You have 4 GB of RAM which is plenty for gaming or multitasking, a super amoled screen, (ultra bright gorgeous colors), plenty of pixel x inch, (watch HD movies is a pleasure) and the bonus of the S pen to jot down quick notes at anytime. I had the Note 4 as a business phone when I was in London and I can say it was just stunning. Hi Dan, sorry I left Chiang Mai a day or so after you left this message. Would have been great to meet you. Perhaps next time. Yes, I can wait to get rid of my S4 for the latest version. The photos and movies are much better.